For the most people holiday season is one of the most wonderful time of the year. As the famous song says: "... there'll be much mistletoeing and hearts will be glowing when love ones are near, there'll be parties for hosting, marshmallows for toasting and caroling out in the snow...". Christmas dinners are something beautiful, especially because of the people who gather in peace to enjoy that special evening together. We all love to make it memorable so we have prepared some inspiring ideas on how to decorate and prepare your Christmas table settings. If you have some special plates and glasses now it's a perfect oportunity to use them. If that is not the case, then use what you've got and try to decorate them to look different than any other day. 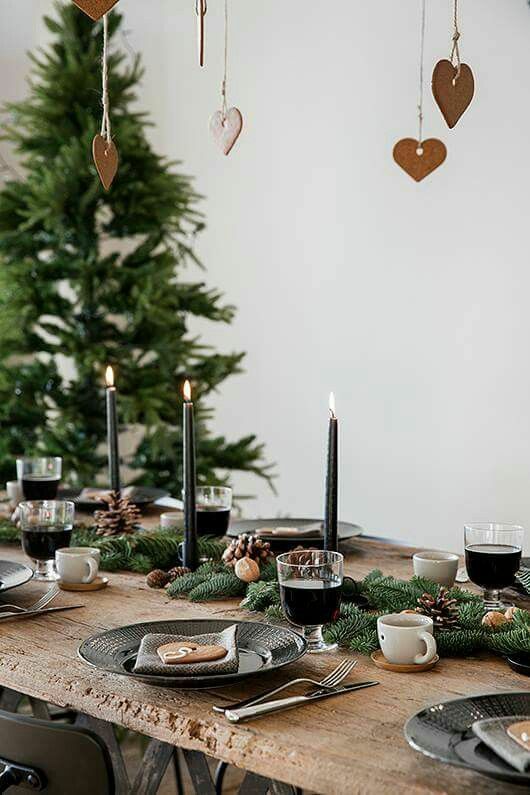 Use some napkins with holiday season motives or patterns such as ornaments, pine trees, mistletoe, poinsettia, snowflakes or simply napkins with christmassy colours (red, white, gold...). Add some fresh little branch of spruce or pine tree. If you can't find any, a rosemary branch will also do the trick. Cranberries are also great for decorating if you want to add some colour to your table setting or pine cones, cinnamon sticks for those who would like to keep things very neutral. We all know how usually our tables look like at dinner or lunch on a normal day - a lot of different kitchenware in the middle of the table so everyone can serve themselves a meal, maybe even different kind of plates (the new one combined with that of your grandmother's) and glasses etc. So Christmas is the best oportunity to show your decorating skills or maybe express the artistic part of yourself. 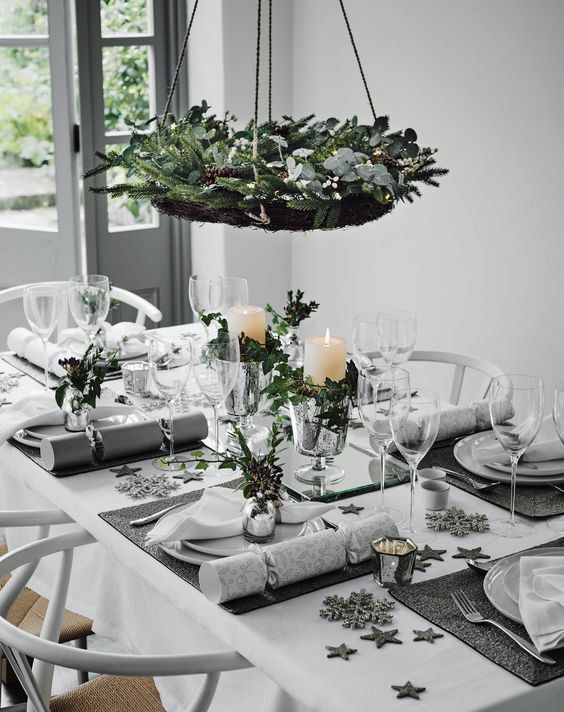 Decorate the centre of your dining table with some natural branches, pine cones, candles, homemade centrepieces, vases... DIY centrepieces can be very simple, but they will do their magic. Find an old empty pickles glass, fill it with water, add some fresh cranberries, some pine branches and a floating candle. You will get beautiful homemade centrepiece. Simply - free your imagination!